Conflicting reports arise after a gay man falls overboard from a Royal Caribbean cruise ship following an alleged altercation with crew members who made antigay remarks. A Brazilian gay man is still missing at sea after plunging into the ocean from a Royal Caribbean cruise ship early Friday morning following an alleged altercation with crew members who taunted him with antigay remarks, reports NBC Miami. Reportedly, 35-year old Bernardo Albaz and his husband Eric were vacationing on the ship together and were repeatedly harassed by security crew members who taunted the couple with antigay remarks, such as saying, “Hi, Lipstick.” Albaz allegedly became increasingly furious with the couple’s treatment and ended up in an altercation with cruise security outside his cabin, which resulted in Albez falling overboard. "Bernardo ended up getting in a huge altercation and ended up in his cabin where he is furious and ultimately Royal Caribbean security came to the scene," Winkleman told NBC Miami. "As a result of the altercation in his cabin Bernardo falls off his balcony onto the life boat area." 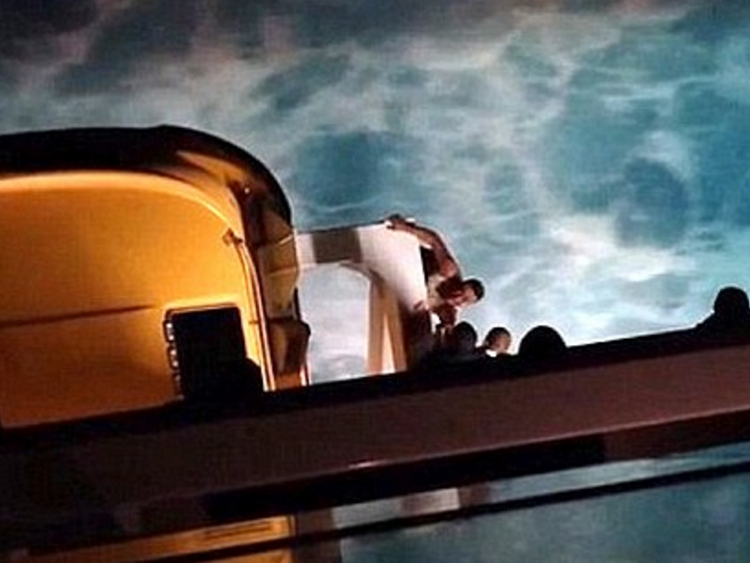 Video footage of the incident from this point shows Albaz hanging on for his life from the side of the lifeboat area before he falls into the ocean. The U.S. Coast Guard says a body matching Albaz’s description was spotted by an airplane, but it was not able to be recovered. “We would like to extend our deepest condolences to the loved ones and all that have been affected by this tragedy,” said Captain Todd Coggeshall, the chief of response management for the Coast Guard 7th District. The U.S. Coast Guard has currently suspended the search for Albaz. Watch video footage of the incident via Daily Mail below.